20 / 366 - A quick photo taken while grabbing a coffee in Dundrum Shopping Centre. 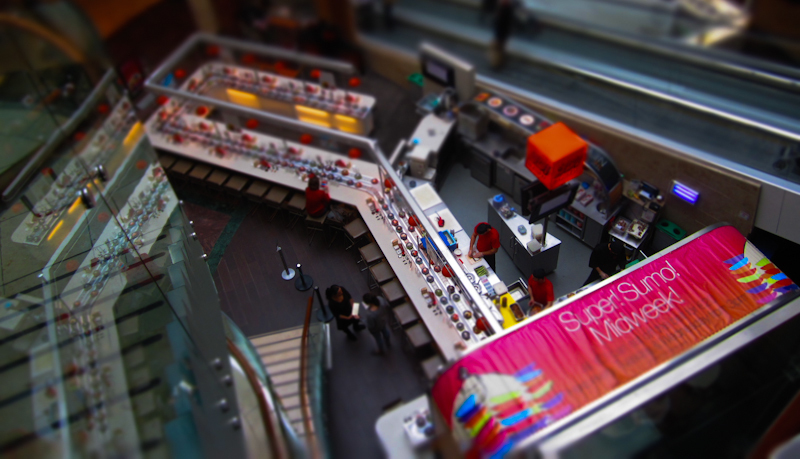 This is the Yo Sushi restaurant in the ground floor. Always loved the vivid colours of the place, only wish I liked sushi. Nice intersecting lines and forms, and good use of the tilt/shift effect.